It's a mixture of big things and little things that can add additional value to your DSpace site. Two interesting additions that I've recently stumbled upon are: Researcher Pages, and Altmetric statistics badge. A project between @Mire and The World Bank's Open Knowledge Repository is to add author pages to DSpace. Thus far, it appears that it shows the author's name, a photo of the author, their biography, and a list of their item's in DSpace that they are an author of. For articles that have a DOI, you can integrate with the Altmetrics statistics service to display a badge of alternative usage of that article. Altmetrics are things like people citing the paper, mentioning them in a social network or blog, or adding it to your Mendeley library. 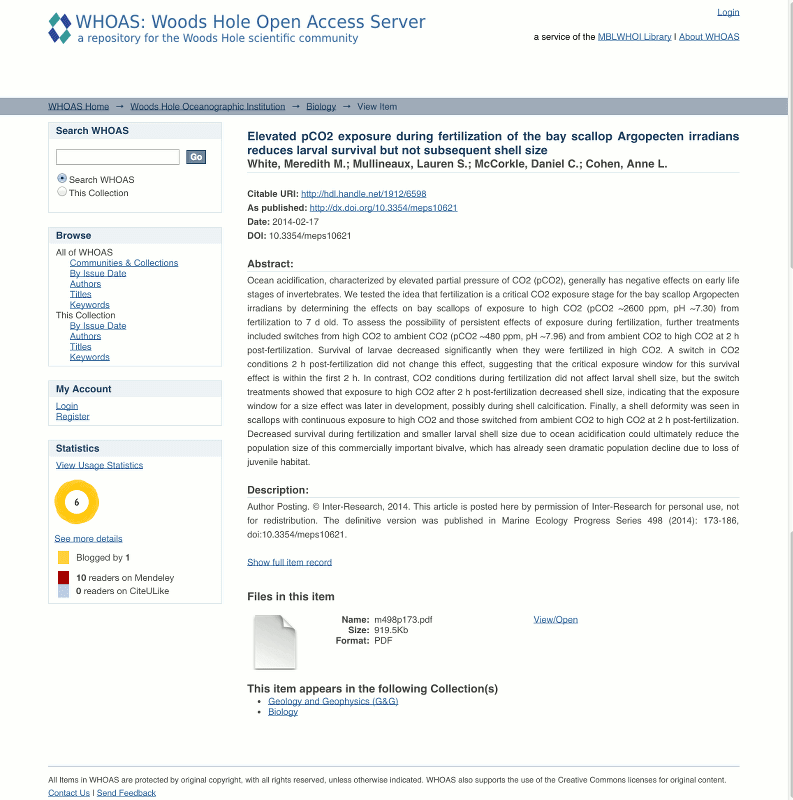 I've seen this integrated into DSpace by Longsight's Sam Ottenhoff for Marine Biology Laboratory / Woods Hole Oceanographic Institution Open Access Server. Are these dspace plugins? or are modifications to the code?